Confident, mature, beautiful and flashy. This pie has definitely got some attitude. And some altitude too. 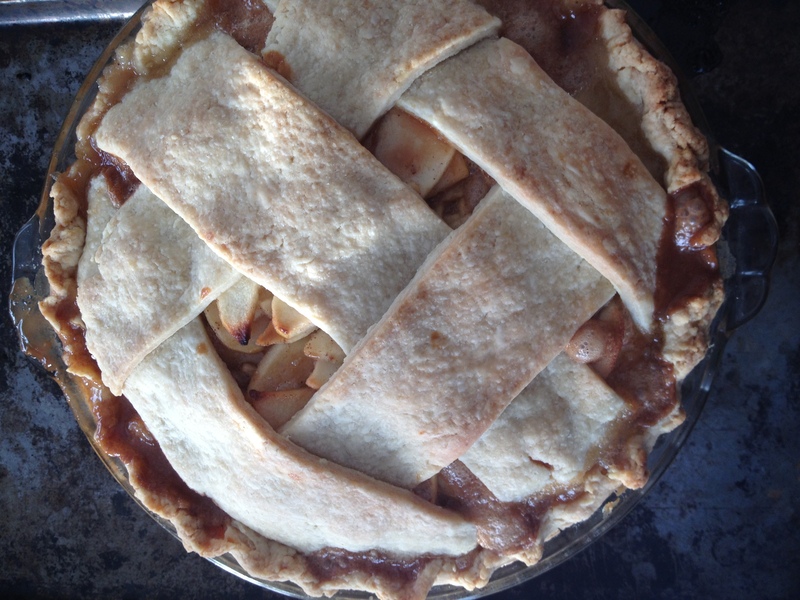 Earlier I shared a recipe for Rustic Apple-Pumpkin pie which I really, really loved. That pie is comforting and a little more humble and unassuming. Not like this one. This pie is J-Lo all the way. Rich, dense, not-too-sugared-up custard is a rare treat. Have I told you how much I love home-made puddings and custards? 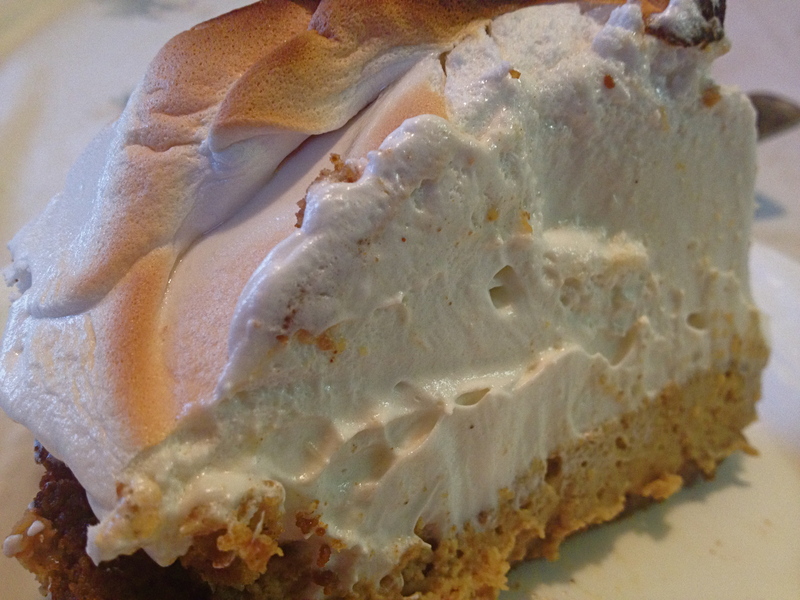 Tuck it into a pie between a crispy, spicy, gingersnap crust and a fluffy crown of meringue and it’s a showstopping dessert. This recipe is inspired by the Mile-High Pumpkin Pie recipe from Jeff Crump and Bettina Schormann’s lovely Earth to Table cookbook. Their version is for a no-bake style of pie using gelatin. Their reason for choosing the no-bake gelatin route is that they don’t like the way baked custard pie fillings tend to cook down or deflate, which is true. But I don’t care. My love for that dense rich layer of custard is greater than my love for an admittedly larger layer of gelatin style filling. And, I have gelatin issues in general so I tend to avoid it. 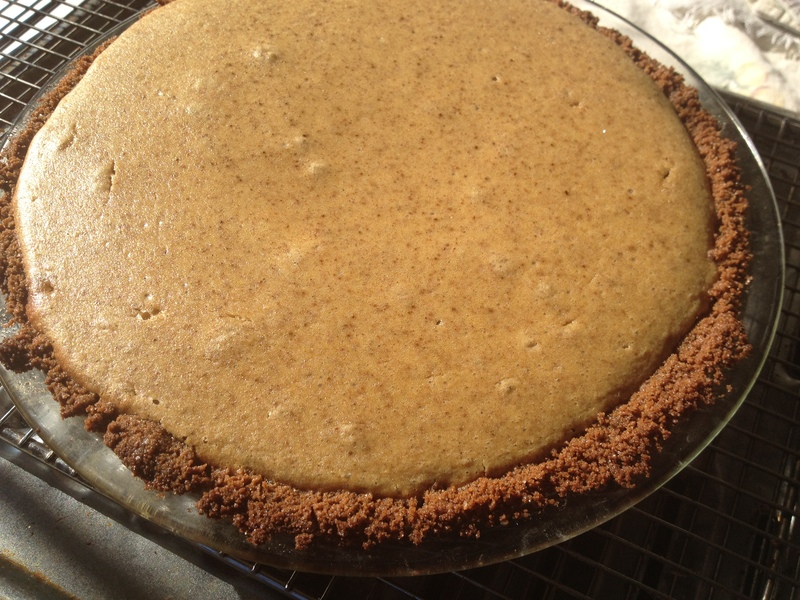 So, I switched the recipe back to its custard roots and added a gingersnap cookie crust. It’s rich and beautiful in all the best autumn-y ways. One other thing – it’s a two-fer! Since this is a recipe I cobbled together from here, there and everywhere, there is about twice as much custard as you will be able to fit into a 9-inch piecrust. But, this is good stuff. More rich than sweet, instead of halving the recipe, I appreciate the extra custard. The remainder can be gently cooked in a double boiler, whisking often until it thickens into a beautiful custard/pudding. Serve drizzled with a bit of chocolate sauce & topped with homemade whipped cream and YUM! I’ve also frozen the cooked custard for later use, and while it does suffer a bit in texture, it’s still very good. Okay friends, it’s crunch time. What pumpkin-y dish are you planning for your holiday table this year? < Previous holiday perfect: how much fun are you really having? Wow, when something like this pops up on my daily feed, I just have to share, this mile high pumpkinsnap pie looks delightful, I can’t wait to give it a try! Oh, my. You’re outdoing yourself, again. 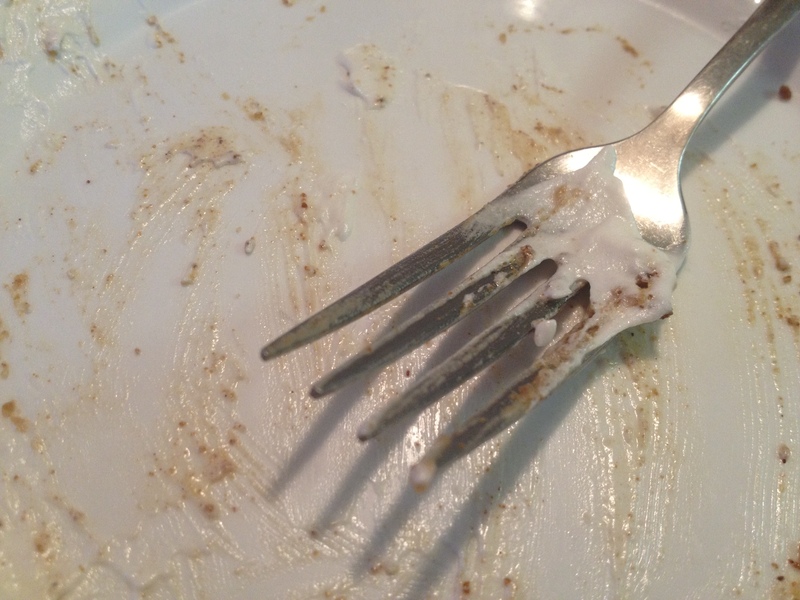 I was figuring I could be at your house in about ten hours….’til I got to that last photo of the empty plate. No trip necessary. Here at home I might be making a pumpkin nut bread. We’ll see. You can show up on my doorstep anytime Eleanor. 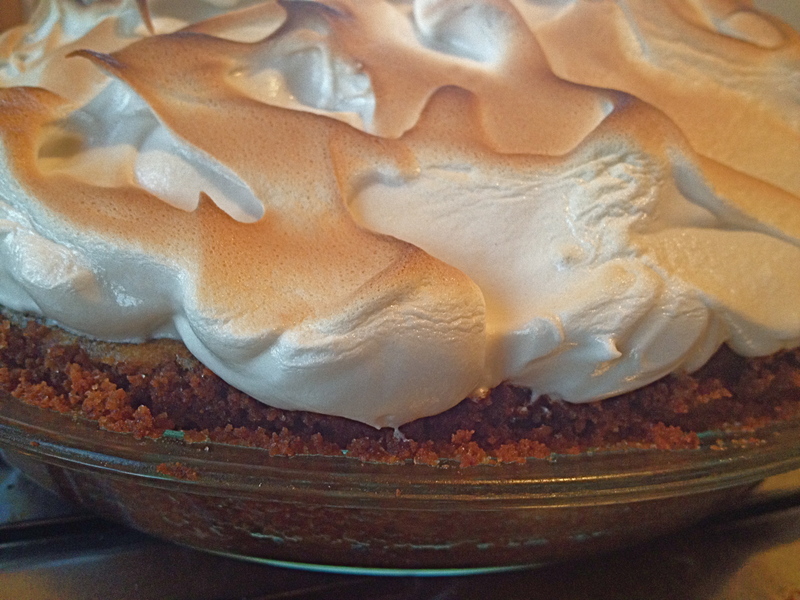 Love the idea of the gingersnap crust. It’s good. If you don’t like the meringue, Saveur has a good recipe for regular (home made of course) pumpkin pie with a gingersnap crust.